The Dodecanese is an archipelago located in the southeastern part of the Aegean Sea . 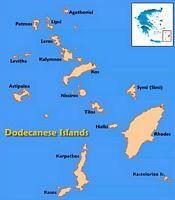 Dodecanese means "twelve islands" (Dodeka nisia,Δωδεκάνησα), but they are actually fourteen, and even counting the 200 islands, of these 200 islands and islets only 27 are inhabited. 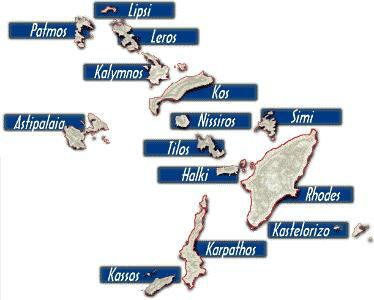 The fourteen main islands are: Astipalaia, Halki, Kalymnos, Karpathos, Kassos, Kastellorizo, Kos , Leros, Lipsi, Nisyros, Patmos, Rhodes , Symi and Tilos. The Dodecanese is also called Southern Sporades. Population: 200 452 inhabitants, more than half of the island of Rhodes . 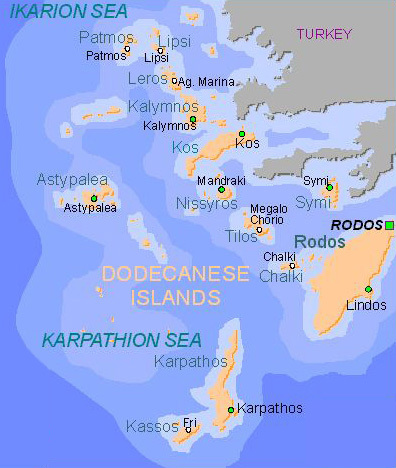 The capital of the Dodecanese is the city of Rhodes . 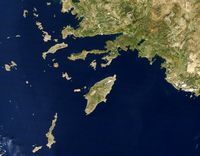 The Dodecanese is a group of islands located south-east of the Aegean Sea , between the south-eastern coast of Asia, the island of Crete, south of Samos and to the east of the Cyclades. The most eastern island of the Dodecanese is the tiny island of Kastellorizo, located 170 km from Rhodes , but just 3 miles off the Turkish coast, halfway Cyprus. 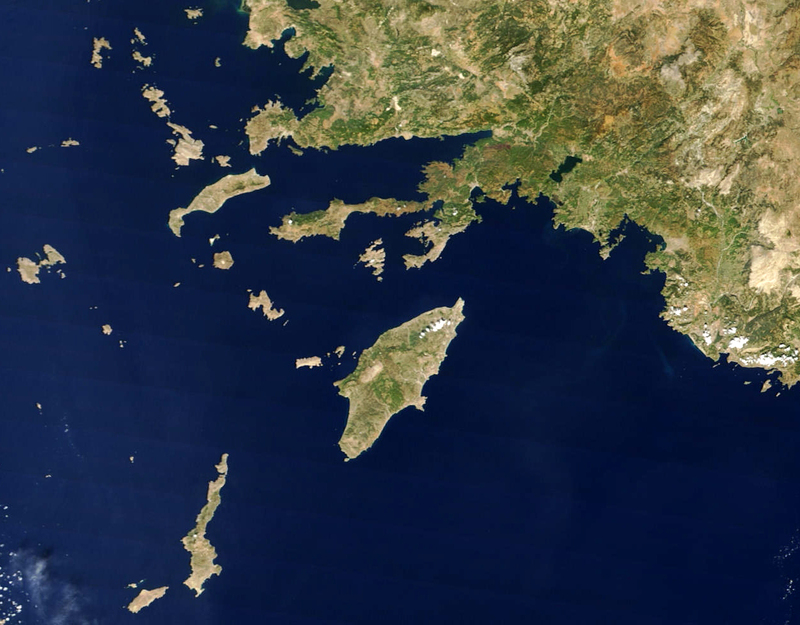 The islands are the northernmost Patmos and small satellites and Arki Agathonissi. To the west are Karpathos and Kassos, which is a bridgehead to Crete and the Cyclades near Astipaliá. Crossroads of civilizations in antiquity by the proximity of the coast of Asia Minor, archaeological excavations are the original inhabitants of the Dodecanese in prehistoric times. The islanders had to wait more than a century after the independence of Greece (1821) to become Greek citizens. After the conquest of Troy, the islands experienced a period of prosperity and cultural influence with the birth of one of the seven sages of antiquity Cléobule.